See blog post for details and links. Consultation is now open on proposed walking and biking improvements from Pt Chevalier to Westmere, specially from the Pt Chev shops to the Garnet Rd shops via Pt Chevalier Rd and Meola Rd. Auckland Transport plans to deliver this project by the end of 2018. Wednesday 12 April, 5 – 8pm at Nomad Restaurant @ the Pt Chev shops. This is an exciting extension of the inner city cycling network. As well as connecting locals to the Northwestern Cycleway and the Grey Lynn route to the CBD, the new bike lanes link two town centres and a couple of major sports fields – plus there are four schools and a kindy and a huge retirement village along the way. Like the Grey Lynn routes, this is a model for how major ‘backbone’ cycleways feed into neighborhoods and vice versa. And with the nearby Waterview Connection on the verge of opening, more and safer local travel options will be all the more important. A possible bus priority lane on Pt Chevalier Rd, southbound from Wakatipu St to the town centre. And the slip lane outside the Pt Chevalier Library may also go. AT notes there will also be some relocation of bus stops, reconfiguring of parking spots, and some trees on Pt Chevalier Rd will be re-planted or replaced. The routes under consultation this time. Green dots indicate side-street treatments. Protected bike lanes on both sides, and raised crossings at side streets. The painted median stays for right turns into Tui and Montrose; otherwise, removed. An afternoon peak bus priority lane on the east side is being investigated (with parking allowed at all other times on the east side). Parking disappears from the west side. If the bus lane goes in, the zebra crossing between Alberta & Tui will be upgraded with signals, because more than two lanes of traffic is too much for a zebra. Some trees will need to be relocated along this section and up to Meola Rd. As you know, we love trees, and we’re keen to see more, larger, and healthier specimens beautifying this beach boulevard. Many of the existing ones are struggling, alas, and aren’t having the full traffic-calming effect originally intended when they were planted roughly a decade ago. The good news is, the project team has stated that they will provide new and relocated trees with bigger and better tree pits – and, because the trees will be next to a bike lane rather than cars or buses, they can have wider branches. This will improve the walking experience, help create a gateway feeling around local shops, and bring shade in coming decades. Pt Chevalier Rd, from Great North Rd to Wakatipu St. The protected bike lanes continue, as do raised crossings at all side streets. The painted median goes, and the bus lane doesn’t go all the way to Walker, which means parking can stay (outside the bike lane) on the east side of the street, where the shops are, but is removed from the west side. A new pedestrian crossing will go in at the shops, likely north of the Wakatipu Rd intersection. We think the shops could benefit from more and better bike parking to supplement the on-street parking. The protected bike lanes and raised side-street crossings continue. The painted median returns, to accommodate high volumes of right-turning traffic at the Meola Rd intersection (this is a heavily tidal route to the city by those avoiding the motorway and Great North Road). This means parking will need to be removed from both sides of the street north of Walker Rd. We foresee potential issues for the small set of shops just north of Walker Rd. There’s a popular pizza parlour and sweet cakery opposite a wig salon (whose clients include chemotherapy patients) and a tiny grocer. This is a historic tram stop, hence its ‘gathering spot’ vibe, with shops flanking both sides of the road, and these businesses enjoy a decent amount of local custom via foot, bus, and bikes (and could definitely use more bike parking). However, the current proposal means customers arriving by car would have to park further down Pt Chev Rd or around the corner on Walker Rd. We’re eager to see the design accommodate everyone’s needs as cleverly and compassionately as possible. It’s a tight squeeze here, with extra demands placed on it by the right turn into Meola. We suspect more detailed design work will need to go into this section, including the intersection, to ensure all locals can confidently support it. Typical morning foot and bike traffic on Pt Chevalier Rd, north of Meola. Kids and parents prefer the west side until they reach the school crossing at Te Ra Road. Given the tight space and the mature trees (which will stay! ), the road will be widened slightly to the north to accommodate protected bike lanes on both sides, with indented parking as shown in the image below. The parking here is on the ‘wrong side’ of the bike lanes, so we’ll suggest the designers look at flipping the scenario (which may lead to a ‘weave in, weave out’ scenario around driveways and trees, not quite ideal either). In either case, the number of car parks is relatively small. Raised crossings are added on all side streets, and the existing zebra crossing remains. All good, as this is a crucial link for school kids – which raises the question of school and kindy links northward and southward. (We see a strong case for a Local Board Greenway project here!). Meola Rd to Meola Reef/ Dog Park. Anyone who’s travelled this road knows it’s as tight as an inappropriate agricultural metaphor – and also that there’s currently no footpath on the north side. The proposal adds a shared path along the northern berm, although ‘shared path’ is a bit of a misnomer here because the ‘shared’ sections are bookended by protected one-direction bike lanes, which means the vast majority of bike users will be heading eastward on the path. As shown in the image below, this will allow the path to be separated (by paint) into bike and walk sections. 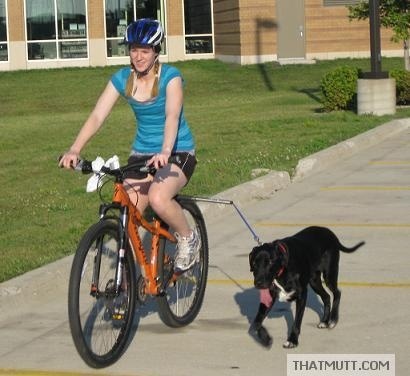 So, compared to many other urban shared paths, this should work reasonably well. Across the Motions Creek Bridge, both sides will have shared bike/walk paths, as it’s simply too narrow for anything else. (The roadway will be narrowed a bit to accommodate the shared paths on the bridge, which should help with traffic-calming). Through this section, all on-street parking will move to the southern side of Meola Rd (outside the bike lane), leaving a 5.3m two-way roadway, which is wider than the current situation with parking on both sides! All trees will stay, and the works along here will coincide with scheduled maintenance, which should minimize the disruption/reduce costs, and allows for relocation of lights and services as necessary. This is the steepest section of the route (local journalist and bike chap Russell Brown has dubbed it the ‘Meola Rd Gravitational Anomaly’). Once safely off the narrow Meola Creek bridge, the bike lanes revert to protected on-road lanes, leaving the footpaths for pedestrians. This section will have no on-street parking. 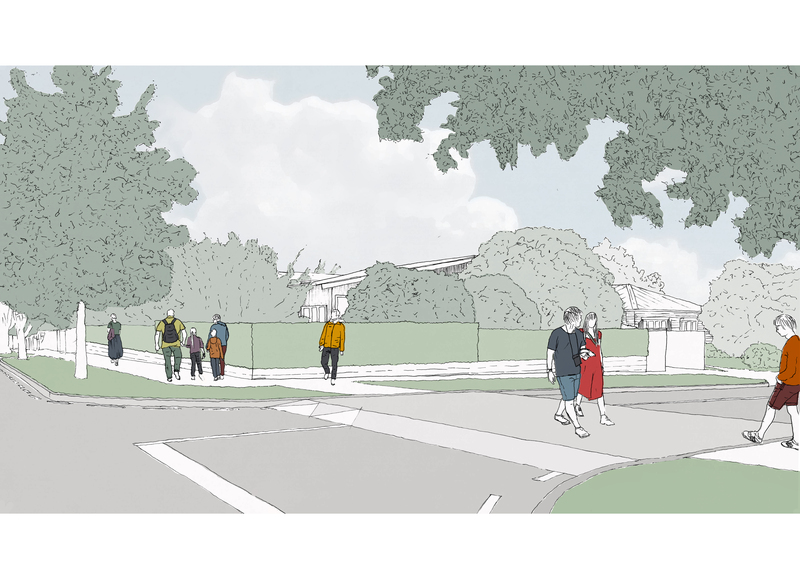 Also, the existing pedestrian refuge outside the Sea Scout Hall will become a proper zebra crossing, befitting its crucial connection of the walking path through Jaggers Bush / Western Springs Park, and the new Westmere Coastal Boardwalk. Still with us? Good, nearly there! This last section takes you through to the Garnet Rd shops, with bike lanes protected from traffic by physical barriers and/or parked cars, and raised side street crossings for pedestrians. The Garnet Rd roundabout will become a single-lane roundabout, with safety improvements for all modes of travel, including a proper zebra crossing across the top of William Denny, which is a major route for Westmere Primary foot and bike traffic. And that’s about it. Have a look at the project page for more details, and let us know what you think below. We’re excited about these improvements to a neighbourhood that already sees heaps of bike and foot travel by people of all ages, and has the potential for even more. Point Chev is historically a cruisy bike-and-tram seaside burb – won’t it be great to see that vibe come round all over again? Remember, feedback closes Sunday 23 April. A Bullitt to the beach! Maybe one day the bike lanes will go all the way to Coyle Park? It’s a bit of a worry that the 2 out of 3 pictures of intersections don’t have cycle lanes continuing through the intersection. 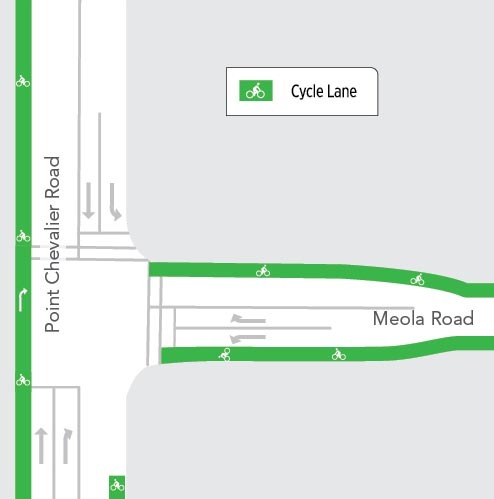 https://at.govt.nz/media/1973025/improvements-to-point-chevalier-road-and-meoloa-road-intersection.jpg https://at.govt.nz/media/1973038/side-street-treatment.jpg. Is this an oversight, or will all cycle lanes stop before intersections? Hey Brendan – the intersections are still under investigation, so by all means please give feedback about the importance of safe and continuous bike travel! Right turns for people on bikes will be a key safety issue here. Can someone explain this image of the section from Meola to Garnet Rd shops to me? – a supposed downhill cycleway with a picture of a car in it on what is a flat section of road? – what’s happening to the parking outside the Garnet Rd shops? Well spotted – we suspect a labelling problem here. Those are most likely two parking lanes you’ve highlighted in red. I love this, it reads as if all the parking on the Northern side of Meola is magically moving across the road when in reality all the parking on the Northern side (which is the majority) is being removed along with the parking on both sides of Meola on the uphill section to Garnet Rd. As much as I love some aspects of the proposal, what is being proposed for Meola Rd is going to be very problematic. Have the designers ever seen that area when there is a Soccer Tournament on at Seddon Fields, an open day at Motat as well as a sunny weekend when hundreds of people walk their dogs in the dog walking park? There’s no simple solution. Meola Rd is a major traffic thoroughfare for local and out of suburb traffic. Add to that regular buses, pedestrians, cyclists, soccer parents, dog walkers, MOTAT visitors, high school students and audiences to the theater and you’ve got a major bottleneck. Those soccer tournaments scare the hell out of me when the road is jammed and I fear some kid is going to get wiped out. The north side parking has to go, and there needs to be a cycle and walking lane that side instead. If there is no parking people will start to think seriously about getting to events another way, like um biking or bus. I completely agree with you GTP. Meola Rd has enormous public reserves on both sides of the road, there is no reason why there could not be hundreds of parking spaces available for the public. 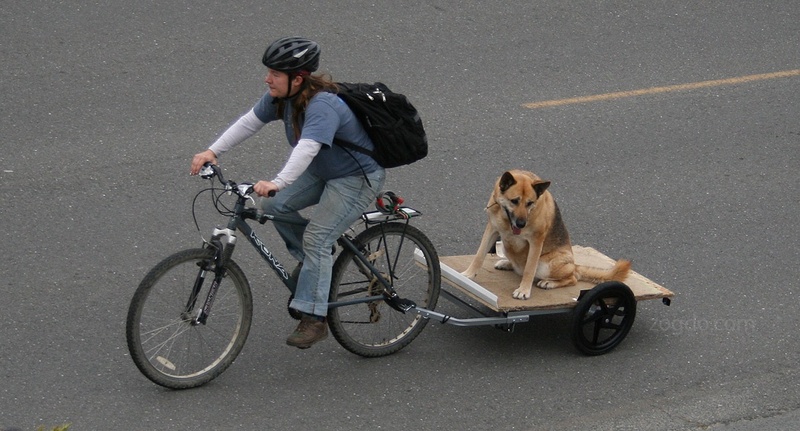 I cycle every day, but cycling doesn’t work for people taking their dog to the park, it doesn’t work for families taking their kids to MOTAT. 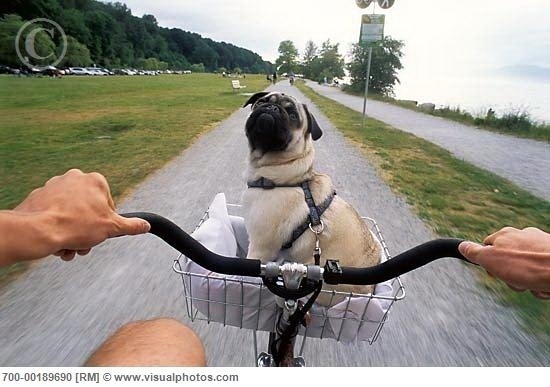 I play soccer there on Thursdays and cycling doesn’t always work for me at that time either. Having car parking is important too. Really? 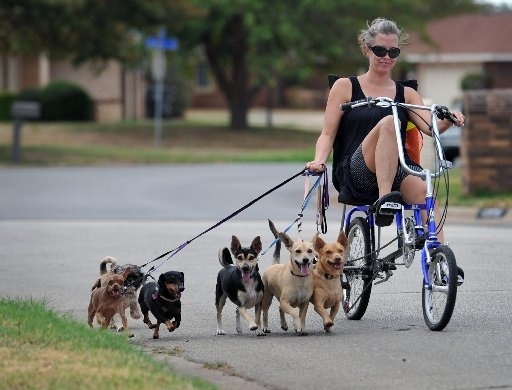 This is the problem with so much of the anglo world, we can’t even imagine exercising ourselves or our dogs on the way to exercise a dog. Totally Agree. And people from from all over Auckland and are unfamiliar with the area. They need to look at improvements in car parking layout of adjacent areas within Motat and the college. The Meola Rd section by Motat up to Garnet Rd essentially takes away 1.8m for a well-deserved cycle lane, and prohibits parking (2.0m), so no real chnage still only leaves 5.3m, when AT insist that developers provide collector roads like this with 2 x 3.5m lanes for a 7m carriageway. The plan has some great points. Certainly I would finally feel safe cycling on Meola Rd. But the real problem in Pt Chevalier is, as in so many parts of Auckland, we are severed by what AT think is an arterial route (PT Chev Rd and Meola Rd). I feel a critique of the plan from a perspective that includes consideration of the induced traffic phenomenon is necessary. Spaghetti West will induce more congestion in Pt Chev. Cutting Meola Rd to private cars (at about the soccer club / dog park location so those users can still have access) would give a huge ecological, social and business boost to Pt Chevalier (who wouldn’t want to do business here?) It would also speed up the Outer Link and other bus services and reduce the road network, thus the traffic flow elsewhere. Win win. It could be a model for other suburbs to adopt too, and eventually we’d have a city where buses function reliably, and cycling and walking are safe and pleasant. What’s going to get AT to change? Is this the time to go all out for them to accept that induced traffic flow is real, (just 50 years since it was fully understood!) Does every campaign help the next campaign? On paper the proposal looks good, however the one issue that I can see is the dual dedicated lanes on Pt Chev Rd from Gt North to Meola. Surely a single lane on the east side of Pt Chev Rd would suffice, at least initially. Removing parking from both sides of the road will affect residents, churchgoers, shop owners and their patrons. If they did do just the one lane first, then did some data gathering on usage, then the second lane could be considered. Hi Warren – good questions! One small correction – the plan retains parking on the east side of Pt Chev Rd, from the shops to just south of Walker Rd. (If the bus lane goes ahead, it would be a clearway for only for a few hours at evening peak). Two-way cycleways aren’t best practice, but make sense in some situations (e.g. if there are no or few amenities along the road, and the focus is safe passage for through-traffic). Here, given the shape of the suburb, and the catchments of people coming from the east and west of Pt Chev Rd and heading both north and south along Pt Chev Rd, we think providing safe travel space for people on bikes on both sides of the road (just like the rest of the traffic) is the best approach. This also means people on bikes (who tend to stop off along the way more easily and more often than people in cars) have good safe access to shops, schools, churches, friends’ houses, side-streets, etc on both sides of the street. Another way to think of it: providing a safe interim two-way cycleway would almost certainly use as much space and budget as building the proposed design… our thinking is, why not build it the first time to safely accommodate the bike traffic that already exist, and which experience tells us there will be even more of?